The Ngarakbal hold the first portion of one of the important Transcontinental Bootheram Lore’s [Dreaming]…as above so below, it is written in the stars for the Lore to travel on the land through the peoples songs, hence, Songline…… and each tribal cultural block hold their portion of the ‘song’ as It travels across the land….following the stars….ironically it was the same stars that the British followed to Australia. Land and language [dialect or linguistics] are linked…and the name of the clans who hold portions of the ‘song’ is the same name as their dialect…and as the song travels it changes dialect, passing through each ancestral clan Estate….Lore must always be sung in sequence…..just as one cannot fully understand a play from only half way through the plot…neither can one understand the lore unless it commences at the beginning…. 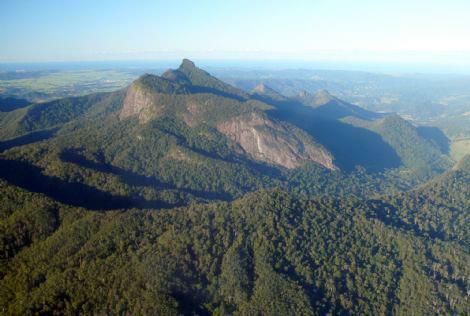 For the Ngarakbal their central sacred site, Yar Birrain/Mt Warning/Wollumbin has many names….it depends on which Bootheram Lore is being related as to which name is used, and the level of the listeners learning. In historical Bootheram’s each time-frame, or epoch, has a Creator Being …a totem who embodies that time and place…When the Wollumbin volcano was part of the deep ocean it had the totem of the Tiger Shark – and a specific name for that creation ancestor….And as it was ‘sung’ from the waters by the ancestor spirits [skybeings/starlore] the totems change to represent the next timeframe/epoch……The totemic creator spirit changes with every epoch. Recently the central plug has had the dual-name of Wollumbin applied and recognised by the Geographical Name Board – who control all global mapping. They have gazetted the central plug alone, instead of to the whole Volcano that Wollumbin [the creator spirit] manifested way back in the dreamtime. As a result of this gazettal the ancient lore has been obscured, because Wollumbin has also been incorrectly attributed to the dialect called Bundjalung…. Administrative bungle by government?….or is it a deliberate move to rewrite history to their advantage so that native title can not be achieved ? Today, the Australian government has mixed the two separate systems together, but exclusively endorsing the patriarchal, and deliberately eliminating the Matristic…. This ‘administrative lands data was created because the first Police Administrators, who also managed the Aboriginal Protections Boards [which is a nice administrative way of referring to slave camps] in the late 1800’s were ordered to collect the languages of the Aboriginal peoples….and they originally collected and classified an entire region of Northern New South Wales as Paigal-YUG ….which is the name the Reverend recorded of the moiety/cultural block of the Yoocum Yoocum survivors and the Paigal survivors now mixed together AFTER colonial British invasion…. For a hundred years the two cultures have been homogenized together by the colonialists…..and it was not until the civil rights campaigns of the 1950s , granting legal rights to the original people , that the government commenced rewriting the history and lands records……now classifying the same ancestral Yoocum Yoocum region as Bundjalung Nation – a made up government administration title …effectively wiping out an entire matristic culture …. Interestingly, Bungil-lung is also part of the ‘Lung’ Lore – another songline which travels up from the South Gippsland of Victoria along the east coast…. and it also travels into the centre of the continent – Uluru and the Arrente people where Bungalung is refering to cannibals. Anyway, the original name of the cultural block that the Ngarakbal and Githabal come from was the Yoocum Yoocum….but that fact had been stealthily buried as part and parcel of the conquering and claiming of the east coast of Australia – and as we all know, rewriting history to the benefit of the conquerors is the classic pattern that has occurred all over the planet…Cultural genocide essentially…..and there have been many wars written out of the historical records…including the fact that only the east coast of Australia was claimed by the Crown, because the other four fifths had been claimed by the Dutch….and these facts have also been conveniently obliterated from the contemporary records of today since the Boer War – British v’s the Dutch – The British ousted the Dutch and their defeat allowed for the Crown to claim the rest of the Australian continent and commemorate it by calling the most western lands the Kimberley As you can see on this pre- Cook map of New Holland , below….the east coast had not been charted, and therefore not claimed according to Northern Hemispheres laws of tenure. Anyway, back to the east coast history….. 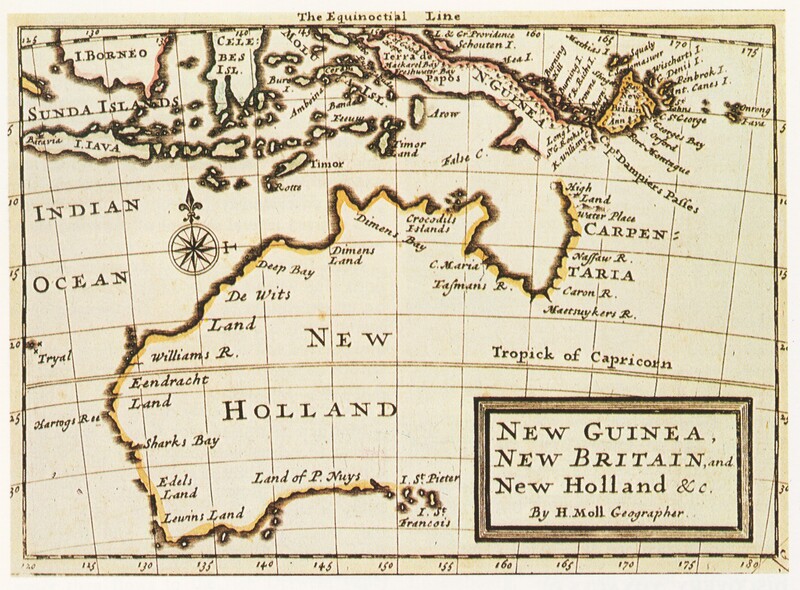 Using the legal process of applying Aboriginal language to landscape for the use of naming geographic features was required in order to oust the Dutch who had used their own language to map the west…..So, Aboriginal language was used to validate the crown maps and thus their legal tenure of Australia…. These Police records of Joshua Brays Ngarakbal language were submitted as evidence to alter the gazettal of the name of Mt Warning to Wollumbin in the mid 2000’s – as part of the contemporary governments Reconciliation process of dual naming significant sites – Though government was recognising the Aboriginal significance of ancestral sites it was, at the same time, stealthily changing the ancestral attributions from the original truth [lore, land and language of the Yoocum Yoocum] to the administrative records of the Police [Bundjalung]….wiping out Yoocum Yoocum completely from the Lands records…. This is achieved by rewriting important cultural references ….such as Anthropologist Radcliffe-Brown, who refers to this same cultural bloc as the Yukum or Yukumbil tribe; ………… covering a vast area of the ORIGINAL Moreton Bay – from the sunshine Coast to the Richmond River ……Kidjabal was Radcliffe Browns way of recording the tribal dialect of Githabal….many and various versions of spellings occur throughout the records….here is what he had to say about the Githabal and Ngarakbal peoples…..
For Classic Invasion rationalisation, after collecting the data on the Origine’Tribes, this specific east coast location was strategically chosen as the state borders of New South Wales and Queensland by the Commonwealth forefathers to effectively ‘divide and conquer’ the Yoocum-Yoocum Aboriginal moiety – through administration’– deftly eradicating their old world lore’ by drawing a line on a map where no line had ever been before ……Right through the very beginning of the Rainbow Serpent Culture of Australia…effectively crushing the head of the serpent, and creating a domino effect dispersing the matristic Skinlore, Kinships and ‘connections-to-country’ right the way across the continent with one killer blow. 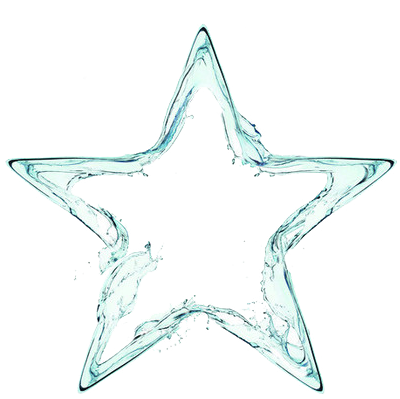 This administrative sleight of hand trick is a dual naming process to thwart proof of ancestral connection to country , and these alterations then travel through the department hierarchy all the way up to the UN, and thus, the U.N Geographical Names Board now endorse the bogus historical referencing. Ancestral names on the maps have been sanitised and reclassified to empower only governmental lands councils, which are not representative of ancestral moieties, and the ability for Aboriginal Native Title claimants to prove pre-colonial title of their own country has been thwarted……any attempt for the ancestral peoples to appeal to the United Nations for assistance has been deftly blocked inside the records ……. Cultural genocide by pen…..Pretty dastardly manipulative stuff isn’t it…..and yet another verse in the ancient Starlore Bootheram of the Ngarakbal and Githabal people .